94 people have viewed this property this week. 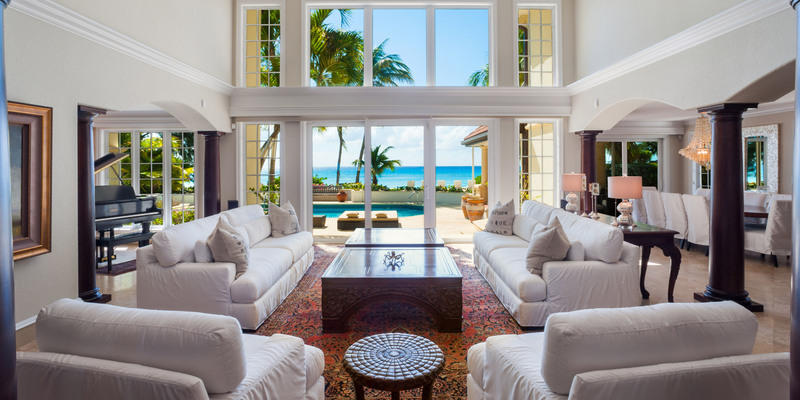 This magnificent home has been redecorated by Grand Cayman's premier interior decorator (Design Studio) and has been featured in a number of local magazines. 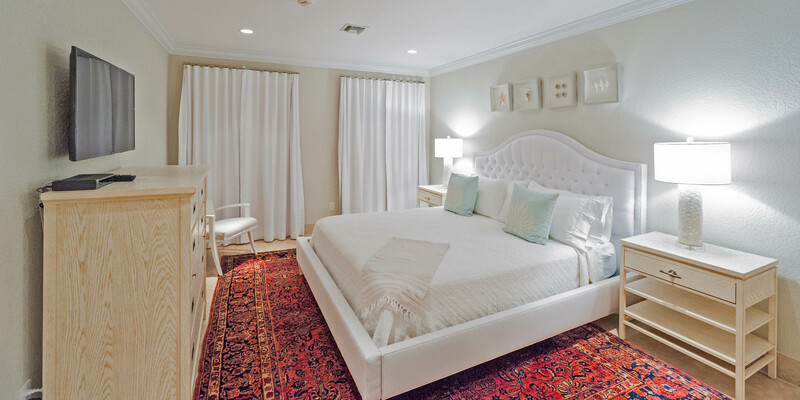 The Spanish-tiled two-story villa measures 7,400 square feet indoors and offers another 3,000 sq. feet of entertaining space outdoors around the pool area. Plenty of off-street and under-cover parking provided. The rear covered lanai overlooks the pool and barefoot white-sandy beach. 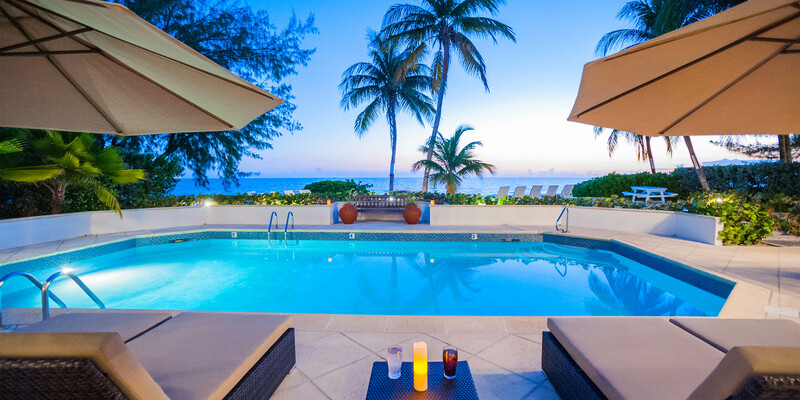 The pool area sits back from the beach and is elevated sufficiently to offer privacy from any passersby. *Adjacent construction on a new private home April - December. Grand entry foyer, vaulted grand salon/living area with a wall of sliding glass to the pool area and sea. North Wing contains luxury chef's kitchen, dining room, children's media/game room and adult cinema room as well as the powder room. Roofed poolside lanai directly off the formal dining room. North staircase leads to the second-floor bedrooms #4, #5 and #6. 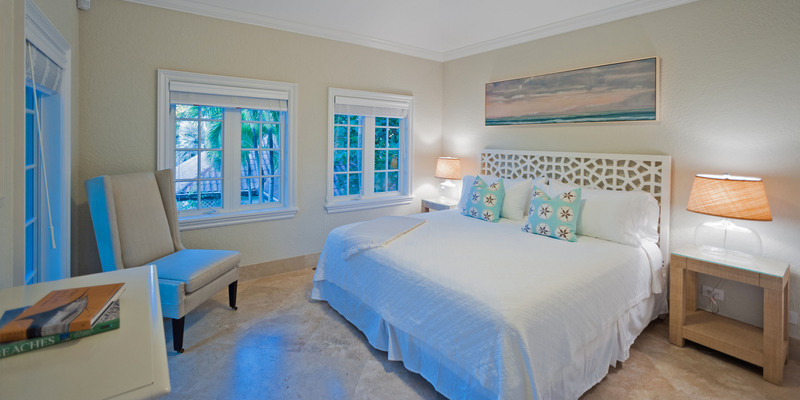 North Wing offers #4 oceanfront king master suite with TV, #5 double full-bed bedroom (2 full-sized beds), and #6 California king bedroom with TV that shares a full bathroom. 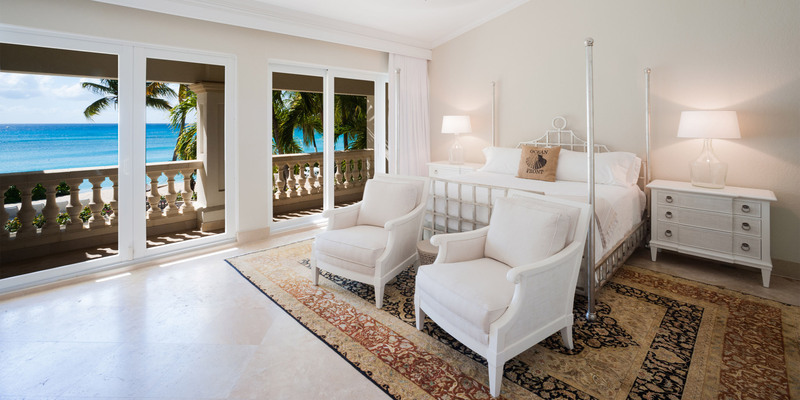 South Wing stairs lead to three bedroom suites: #1 enormous oceanfront king master suite with TV, #2 king bedroom suite and #3 king bedroom suite. The south stairs lead only to the south suites and the north stairs lead only to the north wing master suite and bedrooms. 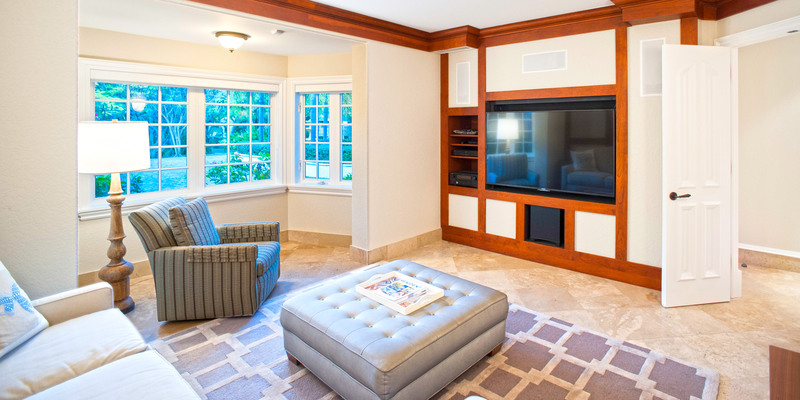 It is a great configuration for two families or for dividing the house into adult and teenager areas! 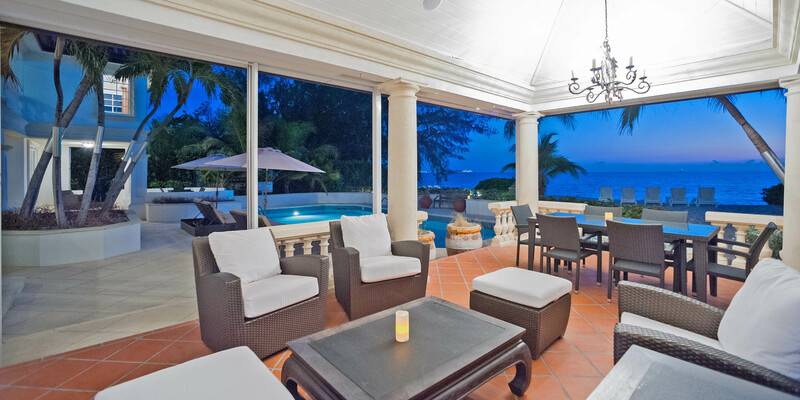 The covered porch, grand salon, music room, and game room all open to the pool and entertaining areas on the beach. 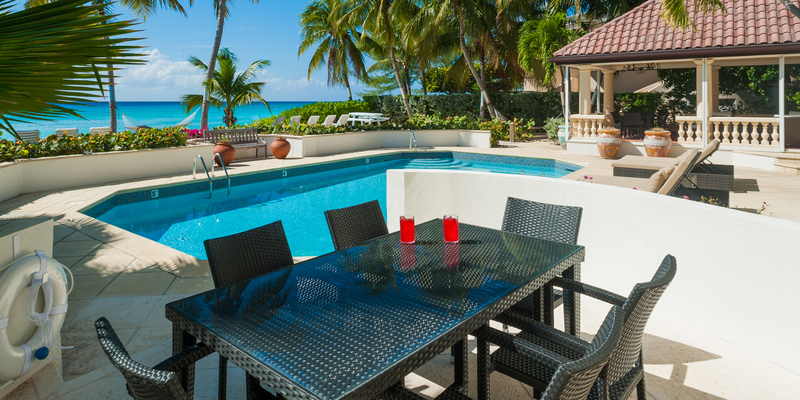 Large freshwater heated pool ringed with double-chaise loungers, tables, chairs, and stairs to the sandy beach. Foot showers, 2 hammocks and the water toys stored around the pool deck. Multiple dining tables and chairs may be paired together under the cabana roof to offer lanai seating for 14-18 guests. Palm trees for shade on either side of the beach, as well as heavy landscaping and a rope fence for privacy. Weekday light housekeeping—3 hours daily included, more optional. Silver Thatch services for pre-planning and on-island use. 16 maximum guests (14 adults max) in the main house. Optional cottage adds 2 adults for an additional $350 per night. 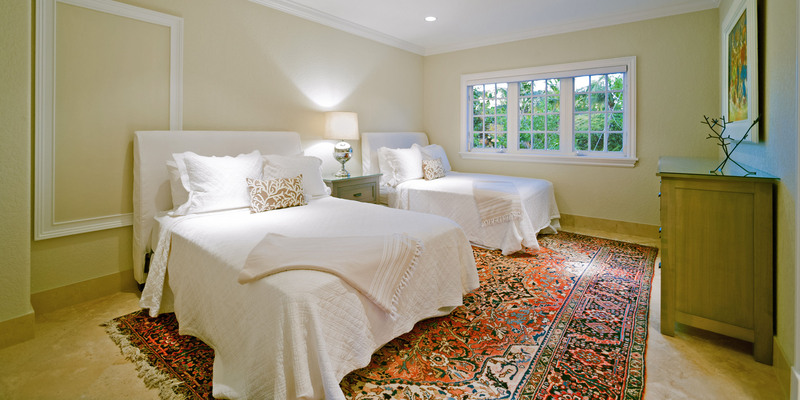 Our guests have used this accommodation for pilots, nannies or teens. Owner permits destination weddings or events on a case-by-case basis. Separate fees and deposits will apply. *Note: Silver Thatch tandem kayaks and stand up paddleboards (SUPs) available for discounted rental. Signed waiver and 5-day minimum required with 6th and 7th day free: US$39 per day per kayak/SUP ($195 per week/each). Paddles included. 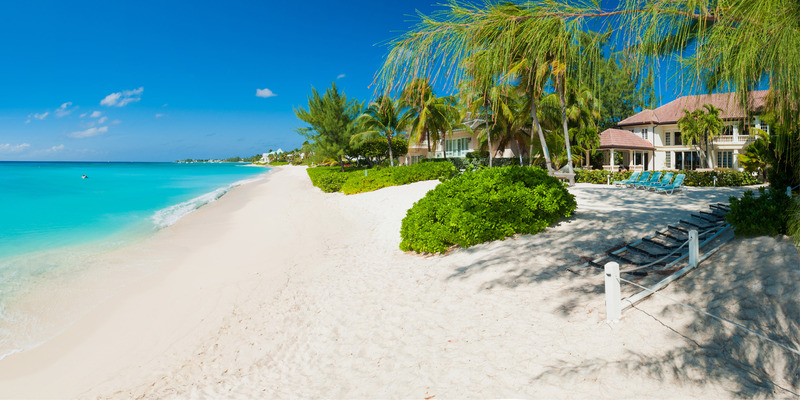 The beach behind Coconut Walk is pure soft sand with barefoot entry into the water. The water here is usually very calm and clean--the most beautiful cerulean blue color. The sandy beach is sloped to provide privacy around the pool area from passersby, but also provides plenty of room for throwing a frisbee, football, or taking long barefoot walks south towards the resorts, beach bars and hotels on central 7 Mile Beach. There are 2 mooring balls for rental boats or visiting charter captains. Coconut Walk is also only a few hundred feet away from some of the best snorkeling at Cemetery Reef (250 yards south). Weekday light housekeeping, 3-4 hrs each day. More available as an option. Coconut Walk was a perfect spot for our family vacation. This villa is very spacious and well kept. We were traveling with 14 people with a variety of ages from 6 years to 77 years old and the villa was well suited for all. The location was very central and we were able to enjoy amazing in villa cooking from a local chef and relish the variety of restaurants in the area. I would highly recommend Coconut Walk for a stress free, enjoyable vacation. I was recently provided with a personal tour of this stunning property prior to the arrival of clients that I had booked into the Estate for the Easter Break. 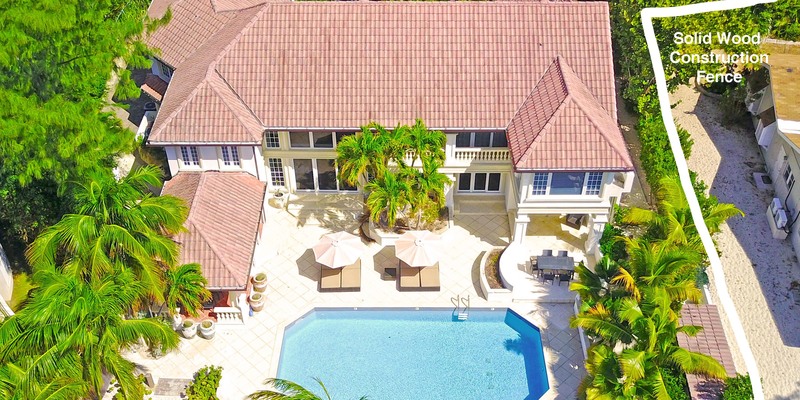 A single family home of this size and caliber on Seven Mile Beach is virtually impossible to come by and to say that the grounds and positioning are awe inspiring would be a gross understatement. The property boasts a deep, impressive majestically landscaped set back from the point of entry along with an absolutely beautiful mature tree canopy. The property was a private family residence for decades before being released as a luxury rental option. 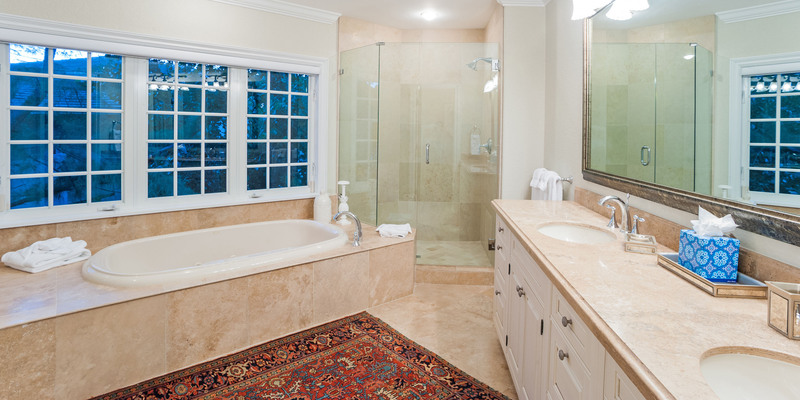 The home itself is bright and welcoming with chic decorator touches throughout. 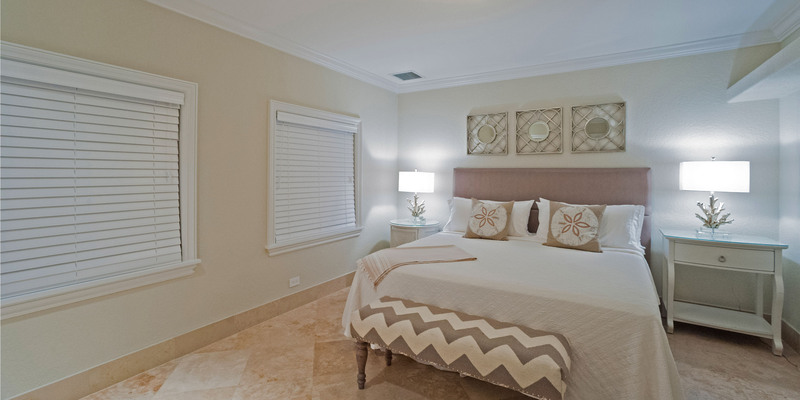 The bedrooms are plentiful and comfortable with plenty of personal space for everyone and the pool and beach are elevated to enhance the level of privacy as well as the incredible view lines afforded of the entire expanse of Seven Mile Beach, sunset and the sparkling Caribbean Sea. Coconut Walk serves as an outstanding option for all manner of visitors looking for a private slice of Cayman\'s most prestigious perch to enjoy. 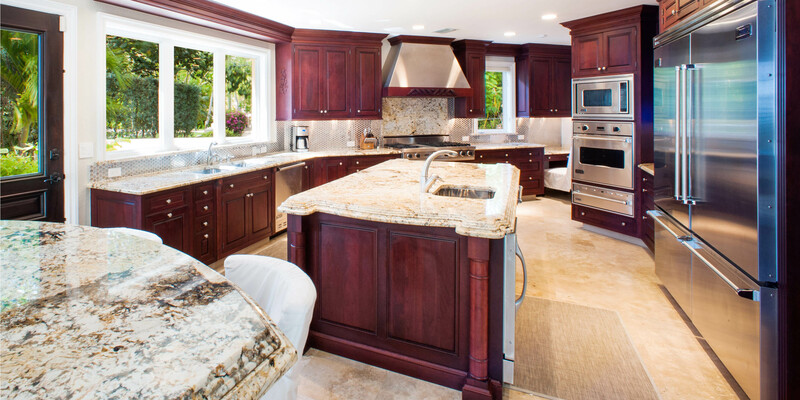 This is a beautiful Estate home and provided a really relaxing vacation setting. The home is well maintained and provides both a private well manicured lawn on the front and a private pool and beach on the back. Both are amazing but the private beach on the back is to die for. The house is incredible, the decor is perfect and clearly they designed the house to maximize the views as you have a beautiful view of the ocean from almost everywhere in the house. 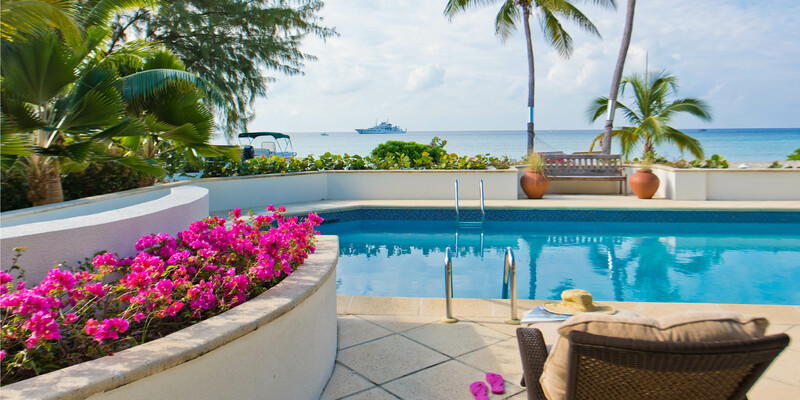 The reservation process was easy and both Scott and Jim at Grand Cayman Villas made sure everything was taken care of with zero hassle. One of the owners David met us at the home to welcome us and was very gracious in showing us around and sharing the history of the home. David\'s wife Michelle grew up in the home and she wrote a little bit about the history of the home in the Welcome Book they provide that also lists all the homes amenities, etc. We look forward to going back again and would easily recommend this home to anyone. Cont. Our extended family of 12 enjoyed every minute of our holiday vacation at Coconut Walk where we spent many relaxing days snacking, sipping, and smiling. We cooked, huddled together watching football, battled it out on the billiard table, worked jigsaw puzzles on the veranda, and spent many lazy hours in the hammocks on the beach. The more energetic of us snorkeled with the abundant sea life of Marine Park that is directly in front of Coconut Walk and some watched the sunset from paddleboards. Every single one of us, ranging in age from 17 to 86, had a tremendous time and have wonderful memories of our days together at Coconut Walk. 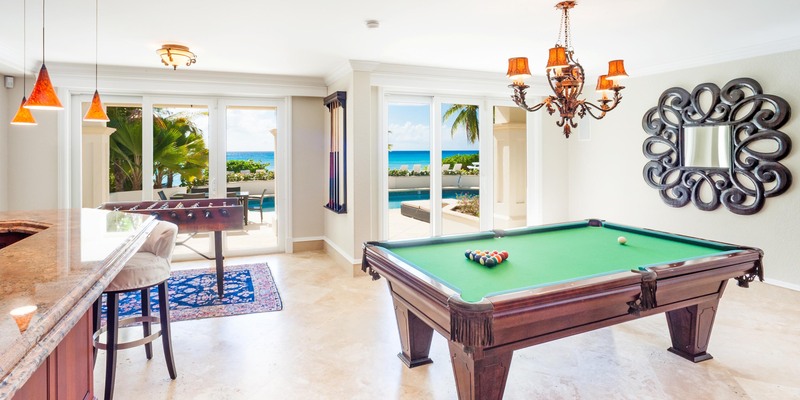 *Our special thanks to Jim Leavitt of Grand Cayman Villas and Condos for finding this property and providing every possible detail for a fantastic vacation. Jim is a pleasure to work with, as he is a consummate professional, who is both, knowledgeable and friendly. His plentiful communications were accurate and extremely helpful. His assistance in car rentals, airport transfers, restaurant suggestions, boat charters, and in-house meals. All of Jim’s recommendations were spot on. Specifically, his contact at Cayman Budget Car Rental, Gary Todd, who arranged for three cars, all brand new and reasonable priced, to be delivered and picked up at Coconut Walk. Gary was outstanding and made the process easy and pleasurable. Also, all of the restaurants were first rate in ambiance and food and the in-house catering was superb. 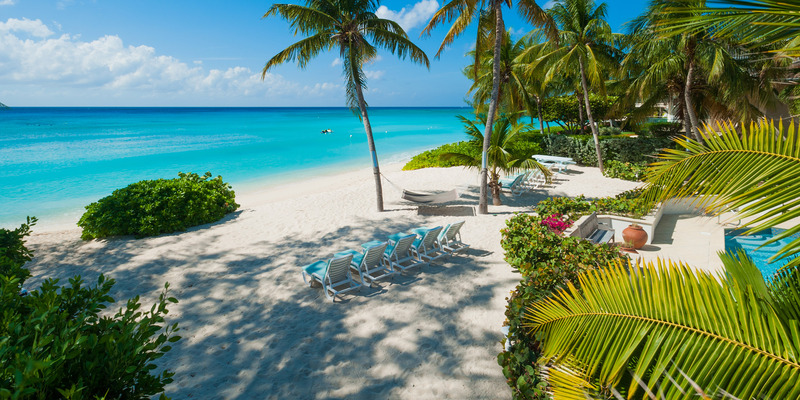 If you are looking for white sand, sunshine, crystal clear blue water, swaying palm trees, and chandeliers, it just doesn’t get any better than Coconut Walk! 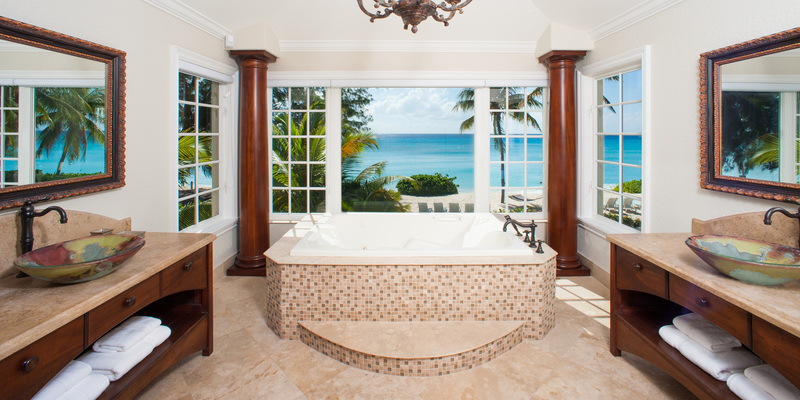 Coconut Walk is an exquisite oceanfront estate on Seven Mile Beach in Grand Cayman. This breathtaking home sits directly on the beach and is very privately nestled in beautiful tropical foliage. 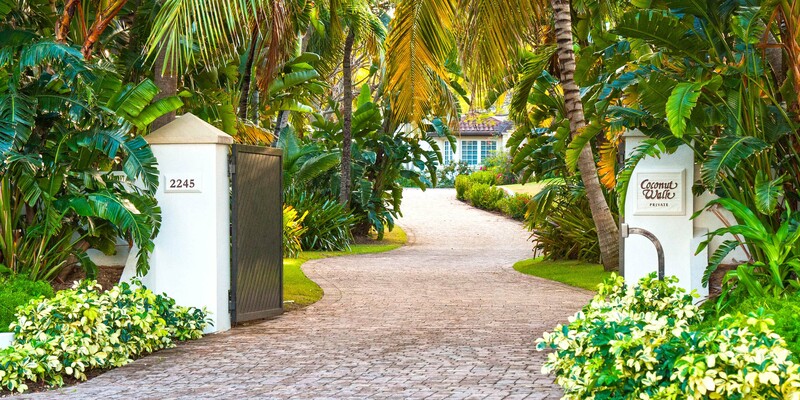 Upon entering the iron gates on West Bay Road the expansive property is revealed. There is a caretaker’s apartment, several bay garage, a child’s dream treehouse, a trellis covered parking area and an ornate fountain in front of the Mediterranean mansion. 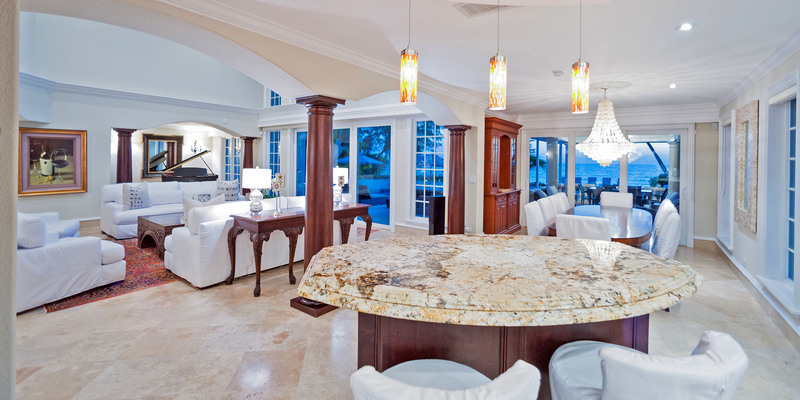 Everything is sparkling, from the marble floors and countertops to the new furnishings, grand piano, and huge tiled pool. The spectacular interior has soaring ceilings and balconies overlooking the great room, 7 bedrooms with a massive master bedroom suite, 6 bathrooms, and a gourmet kitchen, complete with 2 ovens, 2 dishwashers and the largest Viking refrigerator in existence. There is, also, a large screen, surround sound, media den, 2 washer/2 dryer laundry room, and game room. 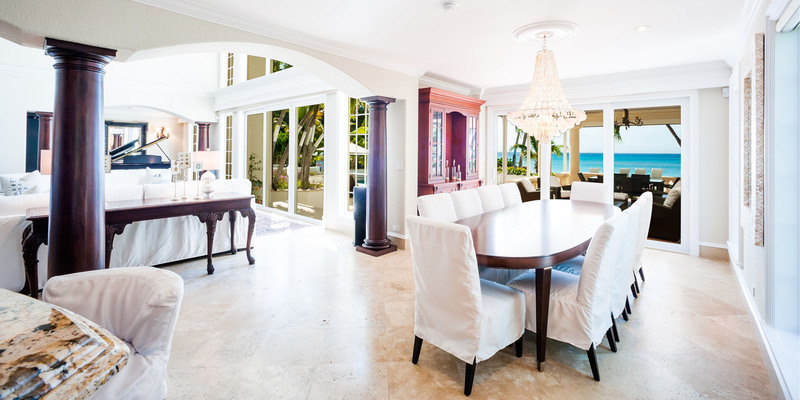 Outside sits an attached beachfront veranda with majestic columns, a paddle fan and a large hanging candelabra. The home is filled with music inside and out with a Sonos sound system. We found Coconut Walk to be ideally located on the beach and near everything. Within walking distance is a tremendous grocery store, a newly opened liquor store, the West End Café, the new Kimpton Resort, and several beachside restaurants. Nearby are the boat docks for fishing, snorkeling, and scuba adventures. It is a five minute drive to the Cayman turtle Farm, Hell, and Tortuga Rum Cake Factory. Minutes away are outstanding restaurants, including Decker’s, The Wharf, Pappagallos, and the Grand Old House. Shopping and dining at Camana Bay and Georgetown is an easy 15 minute drive. Cont. 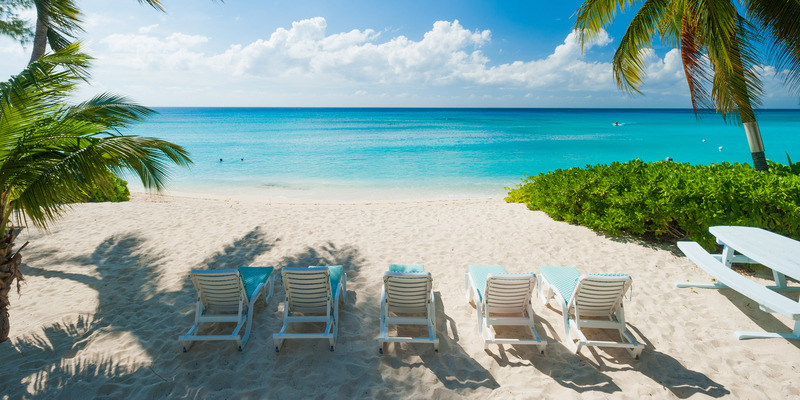 Just (very reluctantly) leaving after an amazing nine night stay at Coconut Walk on Grand Cayman - an absolutely stunning one-of-a-kind private estate right on the heavenly soft white sandy beachfront on the quieter end of Seven Mile Beach. Actually it’s more like a private resort! We all loved the fantastic pool, many comfortable beach/pool chairs and hammocks, awesome snorkelling right out front, paddleboards, basketball court, games room (which has stunning turquoise sea views), covered loggia for shaded relaxation and a comfy media room. 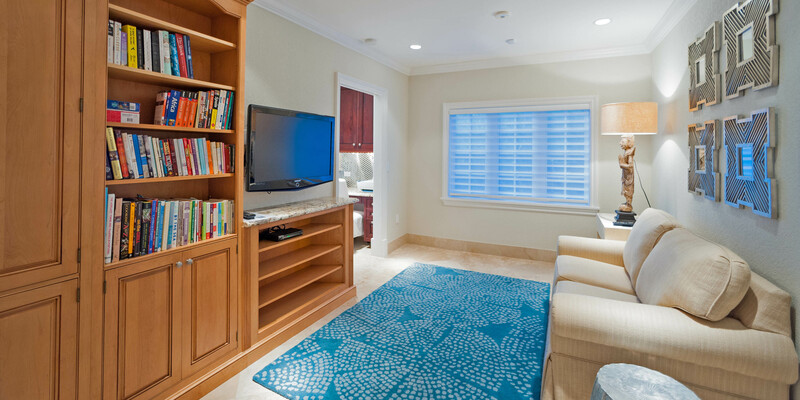 Very beautifully/comfortably designer furnished throughout and fully stocked with high end everything. We spent almost all our time on the property and enjoyed every minute there - as did our whole (large) family. 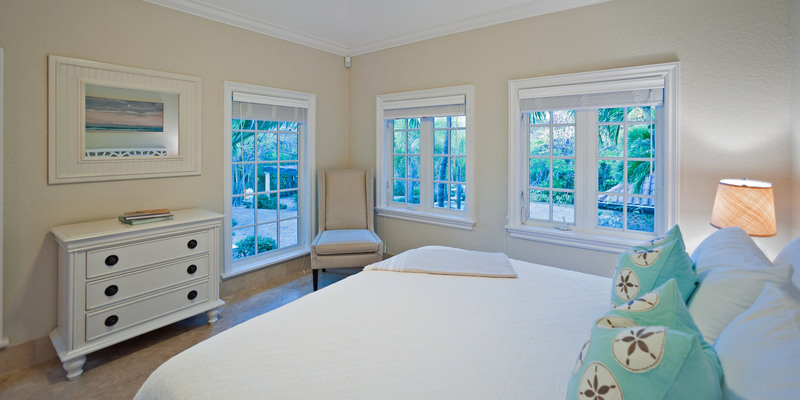 Lots of bedrooms gives options for privacy and/or multiple families. After 20 years coming to the island watching it get busier and busier at the condos and resorts we found the perfect place to call home. No fighting for a beach chair like at other accommodations - just total enjoyment and relaxation! We will be back soon - highly recommended! Must be 25 years or older to book and must occupy the villa during the entire stay.